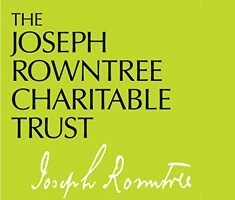 The information below provides a brief overview of JRCT’s five grants programmes. Before you apply, please ensure that you have read the full details of the grants programme to which you are applying for funds. This information is available in the Funding priorities section of the website. As a Quaker Trust, we believe that peace and security are built on values of equality, human rights, justice and environmental sustainability. Read the full details of the programme. The overall focus for this programme is on developing and promoting sustainable, low-carbon alternatives to the current consumerist and growth-based paradigm. We anticipate that the majority of our funding will fall under one of the five priority areas specified above. However, if you judge that your application directly relates to more than one area, and are able to clearly demonstrate this in your proposal, we will consider a cross-cutting application. Read more about cross-cutting applications.